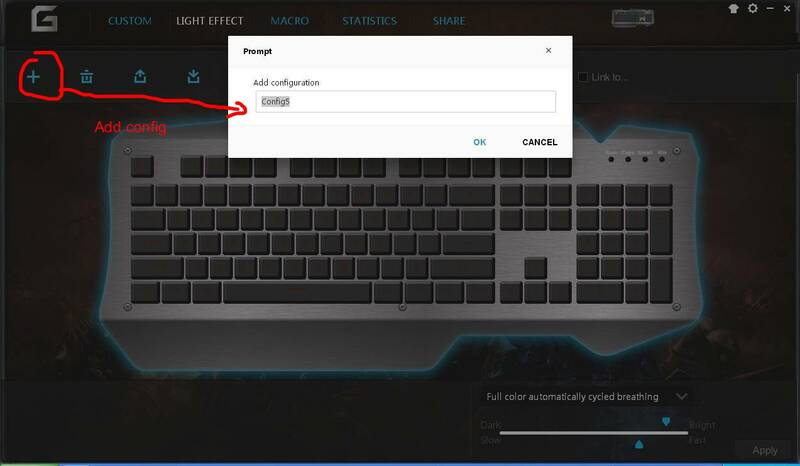 Our driver tool for setting the mechanical keyboard, with this driver installed in your computer your mechanical keyboard will be fully programmable! With the driver tools software, any key can be reassigned and macros can be set up. 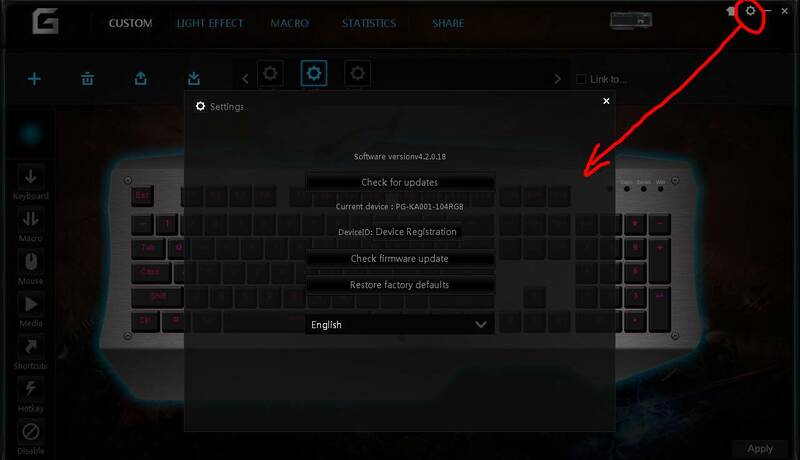 The software is also used to configure the backlit effects. 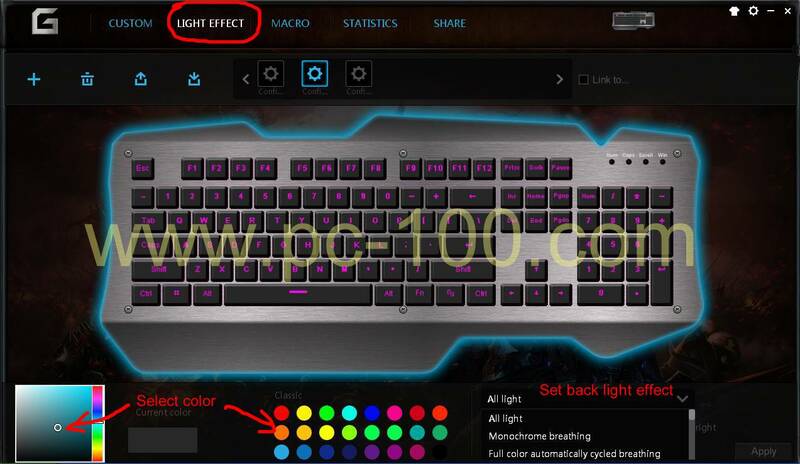 There are many different RGB back lighting modes and effects available. Make several configs for your mechanical keyboard, you may custom each key’s shortcut action in each config separately. 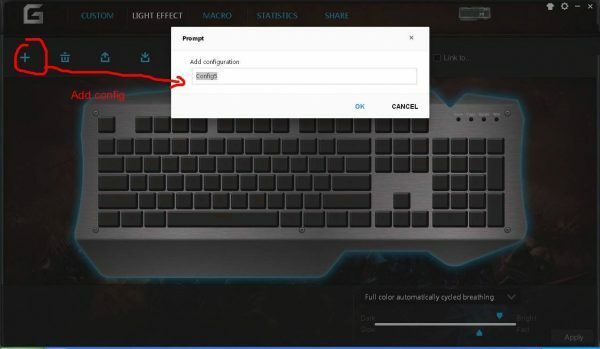 You may add many configs for your keyboard in the driver tool. 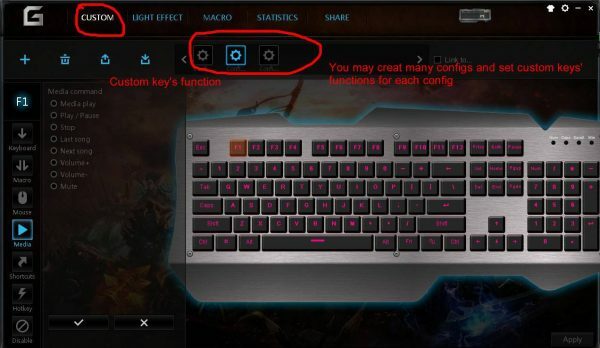 You may set hot keys for your mechanical keyboard, different hotkey function for one key in different configs. Set back light effect for you mechanical keyboard, including backlight color, effect, speed…You may set LED lamps’ color among 16.8 million colors, really colorful! 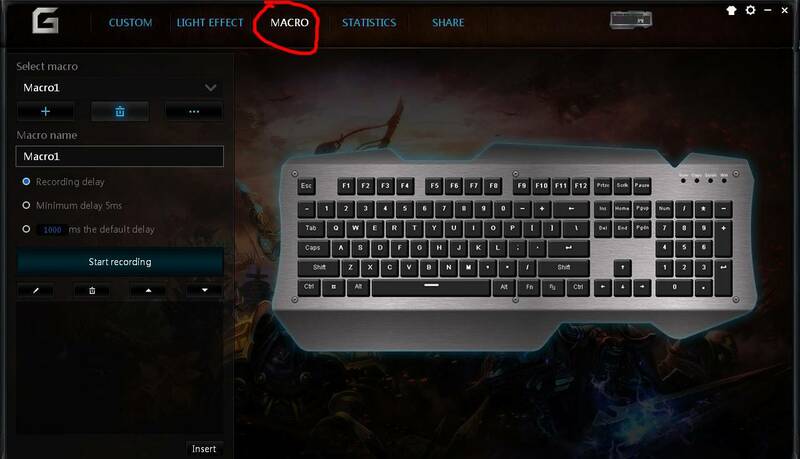 Macro shortcut function, you may recording your macro and bind it to a key as shortcut. 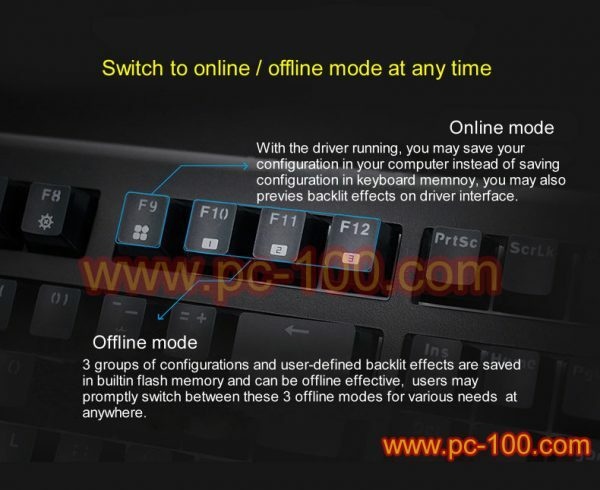 Several working modes for some of our mechanical keyboard, generally, one online mode and 3 offline modes, users may switch between this 4 modes easily. Total 4 working modes for this mechanical keyboard, an online mode and 3 offline modes, users may switch between this 4 modes easily. Users may save 3 sets of configurations in the flash memory in PCB for 3 offline modes use at anywhere. 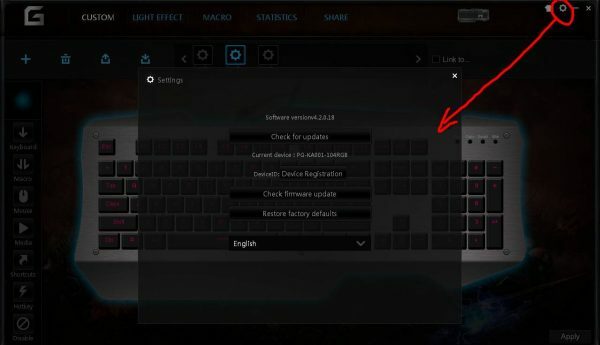 Many settings you may make in our mechanical keyboard driver software.